“CountR Cash Systems” selected again by Game World /City Park Mall, Constanta/ for Ticket Redemption Solution! - Casino Inside - The gambling industry magazine! “CountR Cash Systems” selected again by Game World /City Park Mall, Constanta/ for Ticket Redemption Solution! Home » General » “CountR Cash Systems” selected again by Game World /City Park Mall, Constanta/ for Ticket Redemption Solution! The casino industry’s leading provider of ticket redemption kiosks “CountR”, with its distributor for the Romanian market – “FININVEST D.O.O., is proud to announce its continuing partnership with “GAME WORLD” in Romania! This time “GAME WORLD” equipped its City Park Mall venue in Constanta with the New! “Cash IO Gold” redemption terminal. 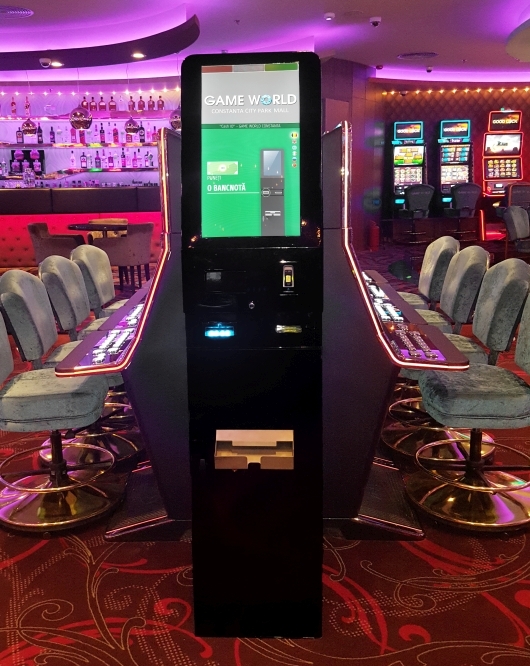 Veselin Vasilev, Regional Sales Manage “CountR” said: “After 2 years of operation our friends from “GAME WORLD” decided to make an upgrade and swapped its old “Cash IO Platinum” KIOSK. 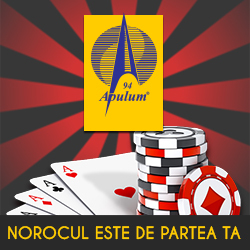 For us, our partnership with the leading gaming operator in Romania is very important and I am proud to have such professional, correct and friendly relations with them! “Well, it was not easy…as always!” said Veselin. In 2016 the Management of Game World was considering several ticket redemption brands, but they chose “CountR” with its best seller “Cash IO Platinum” ticket redemption KIOSK for Vitan Mall. In a short period of time they installed one more in Sun Plaza Mall. It was a great start in Romania! In total, Game World have at the moment 3 x “Cash IO Gold” KIOSKS operating at 2 locations in Romania /Vitan Mall in Bucharest and City Park Mall in Constanta/ to ensure customers have access to TITO tickets redemption and bill breaking services via CountR’s world-class functionality. The “Cash IO” kiosks have been very well received by “GAME WORLD” patrons and staff, but not only, the customers accepted the new technology very well, most of whom have never used a ticket redemption KIOSKS. The immediate acceptance of TITO technology by “GAME WORLD” patrons and staff speaks volumes about the intuitive nature and customer-friendly design of our product. “And the successful installation at this world-class properties is a testament to CountR’s focus on customer satisfaction and the outstanding partnership between “FININVEST”, “CountR” and “GAME WORLD”…” said Marko Kmetic, FININVEST’s Managing Director. “When we are talking for performance, you need to know that the first KIOSK in Romania, “Cash IO Platinum” in Vitan Mall made 1.1 million transaction for 10 months! That was amazing result and proved the machine is first class product! “GAME WORLD” has changed the game and set a new standard for gaming entertainment in Romania. This new standard has been aided by the deployment of “CountR” “Cash IO” ticket redemption kiosks. “GAME WORLD” Vitan Mall is the first property in Romania to deploy automated redemption devices of this nature. The acceptance by the patrons has been rapid and well received” said Veselin Vasilev, Regional Sales Manager of FININVEST D.O.O., CountR’s authorized reseller in Romania.